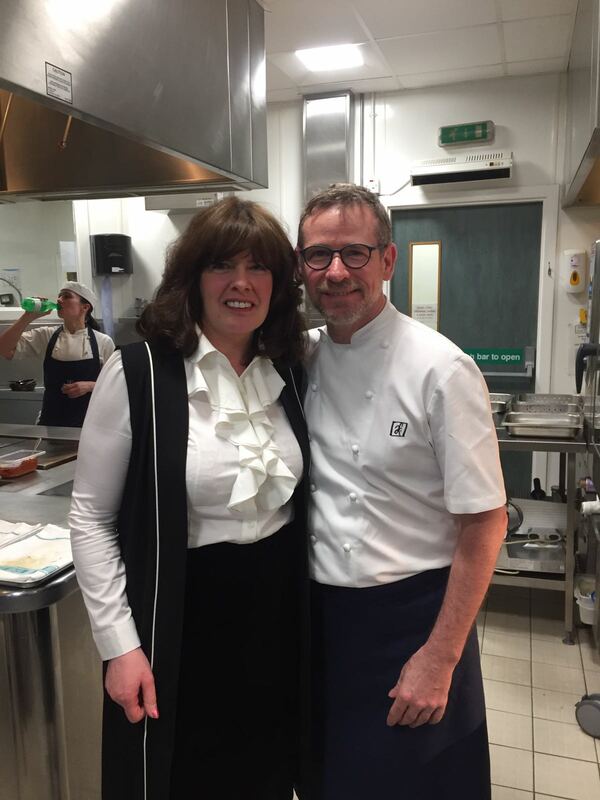 I had the great honour of meeting world class scottish Chef - Andrew Fairlie last night and had the most magnificent gastronomic meal . My review can be seen at www.scottishbakingawards.co.uk. When you are addicted to excellent cuisine as I am , then France in general has it all . This week was off the scale brilliance with Les Tresoms Lake and Spa resort in Annecy. Annecy is a stunningly beautiful town in the French Alps . The old town with its cobbled streets and rivers reminds me of a mini venice . I was staying in Les Tresoms which sits in an elevated position overlooking Lake Annecy. 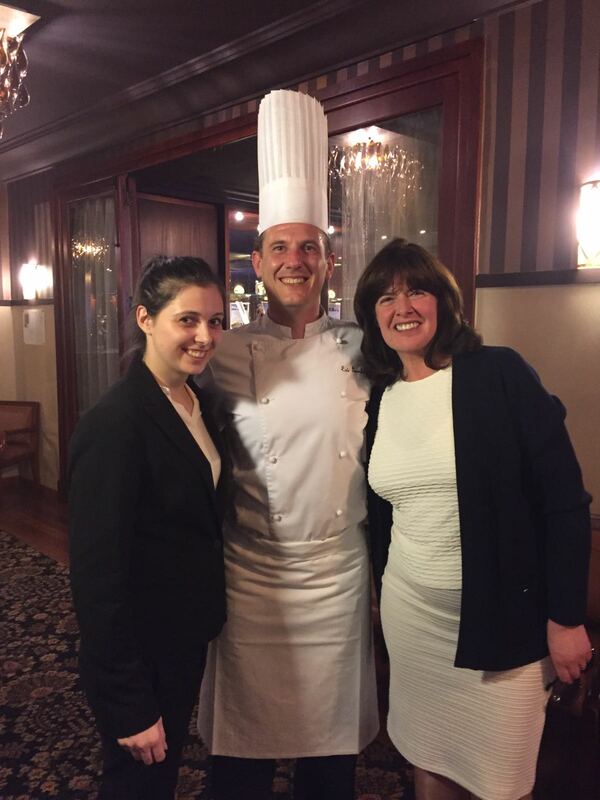 The Chef is a lively 40 year old by the name of Eric Prowalski. A very creative Chef using all the seasonal produce and turning into magnificently beautiful works of art . When you are able to work with such great french produce , the truffles,the wine,the 6 week matured french beef , the cheeses , oh my the cheeses , how can you fail? My love affair with France has been ignited with this Gastronomic retreat that is - Les Tresoms. This year has taken a toll on my waistline so far with the Michelin Star Restuarant's in Scotland under my scrutiny , so a welcome relief was had when i was invited to appear on the BBCs new hit show - All round to Mrs Browns. 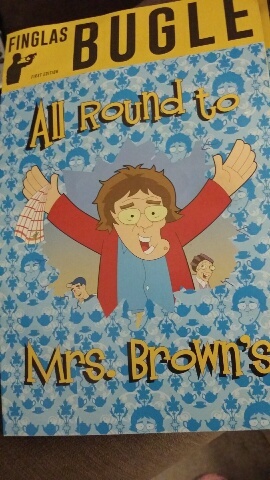 Mrs Browns boys( if you have been in hiding for the last few years) is the brainchild of the genius Brendan O'Carroll . Brendan is an Irish writer , producer , comedian and Director . He is best known for the rather foul mouthed Agnes Brown in the hit BBC TV show - Mrs Browns Boys . I have to admit i am not a fan of cursing in general ( Unless in private) but i absolutely love Mrs Browns Boys and have been a massive fan since its first show way back in 2011. There is just something about the way Brendan portrays Mrs Brown that does not offend or has any malice or brutality about it . I adore his character and have to say the energy from this man and pure natural comic timing is bordering on genius . The new show starting on BBC 1 on the 25th March at 9.15pm is set to be a huge hit with interaction from the audience and celebrity guests . I had the pleasure of hearing live band music which was just brilliant and changes weekly.I laughed until my sides split with the rest of Mrs Browns characters getting up to all sorts of madness. I think what truly makes this show special is the involvement and sentiment of family relationships. Brendans energy does not slow up from begining to end and is infectious . It is a very long time since the days of Billy Connolly at the Albert Hall and all his brilliant comic perceptions of the world , that i have laughed so long and so hard . I got the pleasure of chatting to Mrs Brown and gifting her with a special red box of Handmade Scottish Tablet laced in green tartan ribbon and with the inscription - Red and Green should never be seen ,except on an Irish Queen. Long may you reign Mrs Brown and i hope you enjoyed my Scottish hospitality. Slainte. Our reviews will be on all our websites including www.scottishbakingawards.co.uk and sent to all the National newspaper , local media , Twitter, Facebook , Instagram , pinterest , Linkedin etc . So many Chocolates to choose from and all different prices and sizes , not to mention who is the best, world best, ethical or multi award winning this year !!! Its a minefield out there for us Chocoholics ( Not experts by any manner of means ), so i decided to do a bit of research in the last couple of weeks . I think its fair to say that i have a fair amount of knowledge where Chocolate is concerned , however i decided to base my research on the consumer point of view and not the "Experts" point of view . The consumer after all is the one buying the Chocolates , is it not? In this modern world of social media , our producers of all types of food begin to believe in there own hype and media posts, to the point where the social media is the animal that sells the product whether it is any good or not . So my question one day was - Who actually does produce the Best Chocolates in Scotland at this moment in time ? I can honestly say that after consuming nearly 300 Chocolates in the last week or so , i am now an Expert !! These 7 are only a very few of the advertising Chocolatiers that exist in this country to date , but are the 7 i have picked out after my own research . It is by no means an extensive list but a personal list due to time restrictions . All were marked out of a possible 25 points and there were some incredible Chocolates by all the entrants but hands down on every single category my outright winner by a million miles was the UK World Chocolate Master - Ruth Hinks from Cocoa Black . I have to say i have never tried Cocoa Blacks Chocolates before and have only had Cake and Hot Chocolate in the shop in Peebles . I was interested to see whether as a consumer the Bean to Bar Chocolate would be a better flavour and all round chocolate but quickly learned that making Chocolates taste this good is more than just sourcing a good bean . This type of Chocolate making requires a unique skill , understanding of flavours, textures and most importantly being able to combine all this with originality . I am a traditional Chocolate eater and absolutely despise seeing every little chocolate in a beautiful box uniformly cut to size to all look the same . When you open a box of Cocoa Blacks Chocolates they are all different to look at and to tast and the textures are quite unique. 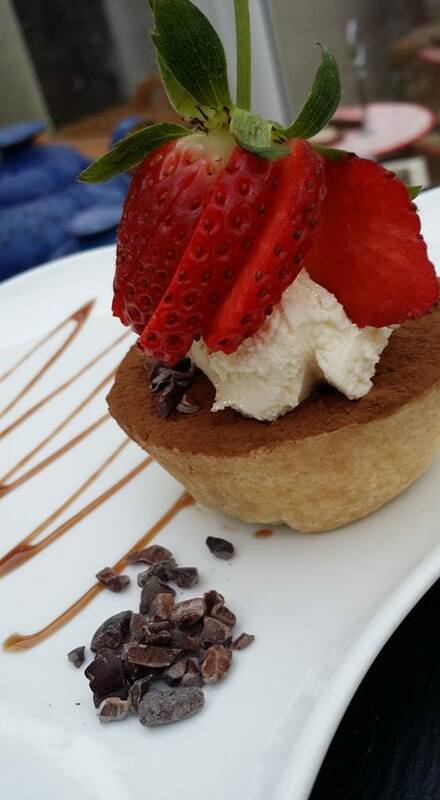 I was quite simply blown away by the subtle flavours ( of which you did not need a card to tell you what they were! )and the amazing different textures in each individual Chocolate . The colours , The design on each one and importantly to me , the freshness of each Chocolate . This is quite an achievement for online bought Chocolates to be as fresh as they were . The Packaging was simply black which is fitting to the name ( Although not the best packaging i researched ) and was overshadowed by the contents anyway . The sleeve on the box was the Chocolate selection card which i would have preferred to see in the box but this is quite simply not important when you know the Chocolates that you are about to experience. So this is my point really - The best marketing , most expensive, branding , packaging and media hype does not neccessarily mean you are getting the best Chocolates . Incidentally out of the 7 i researched Cocoa Blacks were the 3 rd cheapest to buy per average Chocolate at £1-16 each. 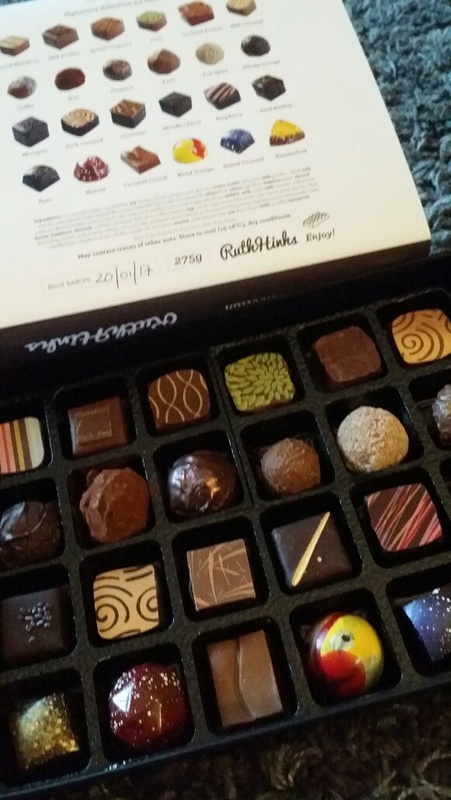 I honestly dont think my review on Ruth Hinks Chocolates can in any way express my pleasure in finding such a brilliant Master at the top of her Game . Keep up this standard no matter how big you become and you will have my backing all the way . Now onto my next challenge . I am absolutely delighted to finally announce the forthcoming Spanish Connection in the World of Artisan Baking . I will now be dividing my time between My beloved Homeland of Scotland and my long love that is Spain . Gracias to all my Spanish counterparts that have helped me and supported me massively in even getting this far . Watch this space folks . !! 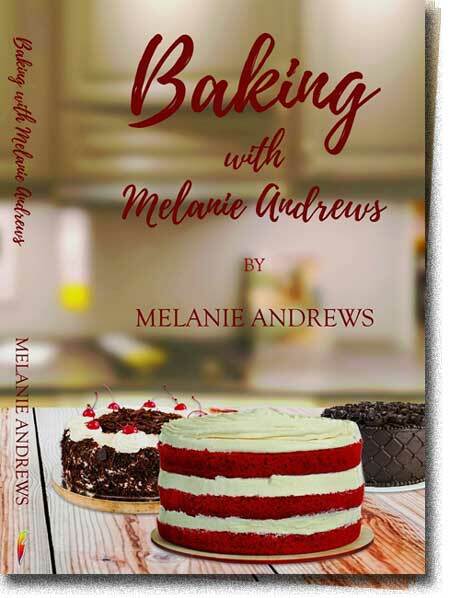 A Challenge was set to 5 Professional Bakers to produce mouthwatering Cakes and Pastries without any refined or unrefined sugars on the 24th April 2016 at Melanie's Tearoom - Craigard Tearoom in Helensburgh . Could it be done ? Over 300 pieces of Baking were eaten in just under 3 hours and the result was a resounding YES ! With the Government issuing a Sugar Tax, Melanie wondered if the Baking industry could survive should sugar be taxed on all things sweet . The answer was a resounding YES . The Cakes and Chocolates produced by Master Baker Melanie , CocoMo Artisan Chocolatier , The Tea Jenny , Pastisserie Chef at Knockderry House Hotel and Kris at My Home Bakery In Hyndland were absolutely brilliant and proved that refined sugars are not necessary to produce mouthwatering Bakes. Now for our next challenge ??? First under 16's Cook and Bake course for 2016 all Pass. 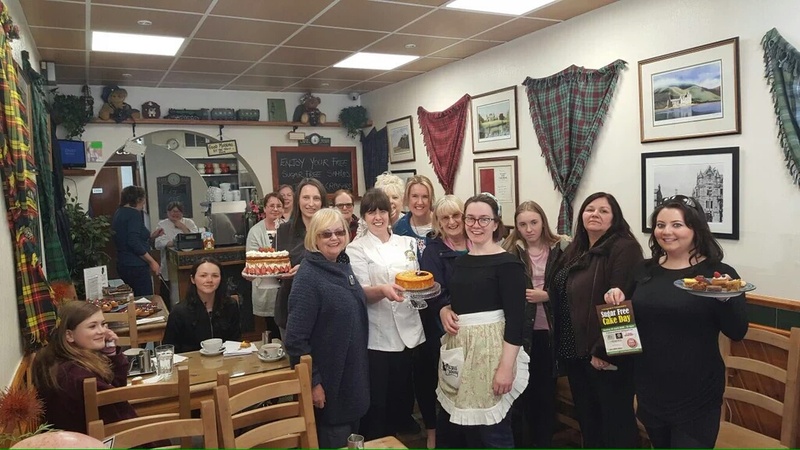 Melanie Andrews has successfully managed to teach another class of under 16 year olds to complete her "Free" Cook and Bake course at Craigard Tearoom. All the students ranging from 11 to 15 all sat and passed their Basic food Hygiene course and now can add this to their list of achievements . They were taught the names and uses of over 100 fruit and vegetables and how to prepare them. They made sweet and savoury Pastry , Quiche , Apple tarts, Wheaten bread , Meringues and finally sat their exam after 6 weeks . All passed with their very own Cook and Bake school certificates.